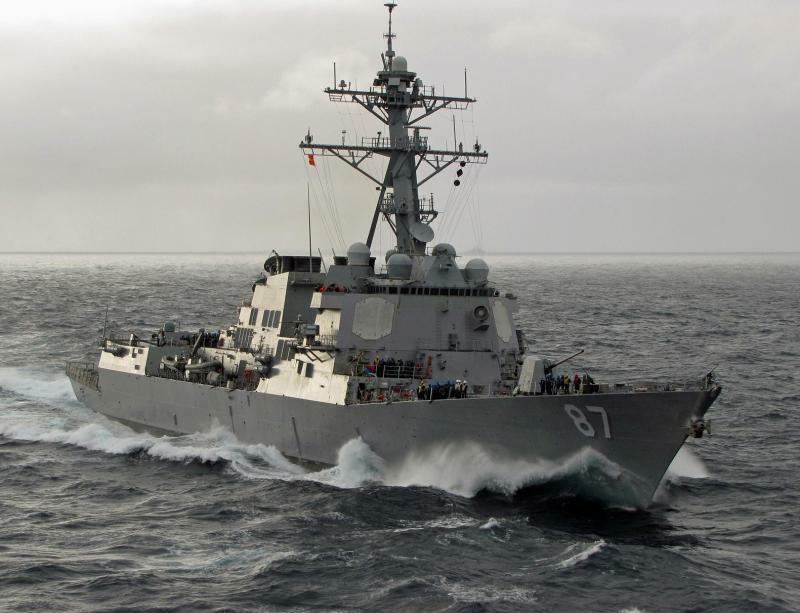 A high ranking U.S. official, suggested on Sunday that the missiles fired by Houthis at the destroyer USS Mason on three attacks, while it was in the Gulf of Aden, were provided by Iran. Senator John McCain and others strongly agreed. The failed missile attack from Iranian-backed rebel-held territory in Yemen came as news reports from Tehran revealed other Iranian-made ballistic missiles – “Zalzal 3” – were launched by the alliance of rebels and followers of ousted Yemeni president, Ali Abdullah Saleh, to hit various Saudi targets. “Fars”, the Iranian semi official news agency, announced Sunday, an attack on the Thwailh military post, in Asir province, was carried by the same Zalzal ballistic missile. Several Saudi positions were previously targeted by this Iranian-made missile, according to the agency close to the IRGC (Islamic Revolutionary Guards Corps). Last week, the Houthis launched a missile attack against Industrial Area, Zahran South, the ballistic missile hit the target with “high precision” the news agency boasted. Other Iranian news outlets confirmed the Houthi militants usage of missiles to launch attacks against targets in Jizan and Asir provinces. Former Secretary of State and Presidential nominee Hillary Clinton has endorsed the Iran nuclear deal in public, despite these recent missile strikes, missile testing, threats to Israel, seizing of our sailors and taunting of our ships at several showdowns. However, her public stance in agreement with the John Kerry/Barack Obama final agreement to open trade and economic relations with Iran, doesn’t jive with her private comments made in a just revealed transcript (Wikileaks) at a paid event October 24 at the Goldman Sachs Alternative Investments Symposium 2013. SECRETARY CLINTON: Well, I think you got it, I think if — the Iranian’s position for as long as I’ve been closely following it and involved in it is we have a right to enrich. Now, technically they don’t. They’re signatory to the nonproliferation, they do not have a right to enrich, but that is their bottom line demand, and that’s what they’re trying to obtain international recognition for. And it will be very difficult for the right safeguards and conditions to actually be constructed that would hold water enabling them to do that, but there are really three things you should look at. We should look at the uranium production through centrifuges, (inaudible) are the two major centers, but you should also look at their continuing work to build a heavy water reactor in a place called Arak, A R A K, which is a half form of plutonium which is the fastest path for weapons-grade material for nuclear bomb. And you have to look at their missile program, because why do they continue to develop intercontinental ballistic missiles that work on miniaturizing warheads if they don’t have some intention of being prepared at least to hold out the threat over their neighbors and beyond. So this is, I mean, you know, if you had an arms expert here, he or she would go into great detail about how difficult it is to find all of the production, to control all of the production that Iranians keeping saying they have a Fatwa against nuclear weapons. And the problem with that is even if you were to believe it, and there are some very skeptical, smart people who do believe it, who believe that the Fatwa is legitimate, it doesn’t go on to say, and we will not construct the pieces to give us the nuclear capacity whenever we choose to assemble them. It just says, no, we will not build nuclear weapons. So it’s a wicked problem, as we like to say, because Iran is not only troubling because of its nuclear program, although that’s the foremost threat, it’s the primary conductor and exporter of terrorism. I mean, if you had a big map here behind us, literally from North America to Southeast Asia, there are so many thoughts, so many bombs, so many arrests that are all traced back to the Iranian revolutionary guard, and their constant efforts to sell (inaudible). And we have a lot of friends around the world, even people who say, look, I need their oil, I need their gas, I don’t particularly trust them or like them, but I’m going to do business with them, besides that’s an American problem, that’s Israeli’s problem, it’s a Middle Eastern problem. It’s not. They want (inaudible), they want as broad a span of control as they can have, so even if a miracle were to happen and we came up with a verifiable nuclear deal, there would still be problems that Iran is projecting and causing around the world that had real consequences for our friends and ourselves. I mean, they did hire, you know, they did hire that gunman to kill the Saudi ambassador, and people thought that was so outrageous. It was made up. We’re sitting around the situation room saying, let’s think of something really bad about the Iranians, like you had to think of something, and, okay, let’s make up a story that they sent agents to Mexico to hire a drug cartel enforcer and fortunately they were led to somebody who was a double agent working for the drug administration — the Drug Enforcement Administration in the United States, so we were able to capture the guy when he came to Texas to transfer the money, but they were going to kill the ambassador from Saudi Arabia in Washington, and the plan was to get him when he was at a public place, a big restaurant some of you may know, Cafe Milano. I mean, absurd. And we had — the guy, once he was caught, gave names and dates and money transfers and all the rest, but people kind of shrugged it off like, oh, that’s so ridiculous. Who would do that? The Iranians, they do it all the time. So yeah, trust but verify and then verify again, again and again. We have to figure out some modus vivendi with them but not at the risk of putting ourselves and others under their thumb. Complete transcripts (MS Word) of the three ($225,000) Clinton addresses to Goldman Sachs here and here and here. Tabloid Take-Down of Bernie Sanders: What explains the unrepentant disdain the elite media cast on Sanders’ bold ideas and insurgent campaign? In short, class. The Worst Companies To Work For: For the fourth consecutive year, 24/7 Wall St. has identified the nation’s worst companies to work for. 24/7 Wall St. analyzed thousands of employee reviews from jobs and career website Glassdoor, which has compiled data on more than 400,000 companies around the world.